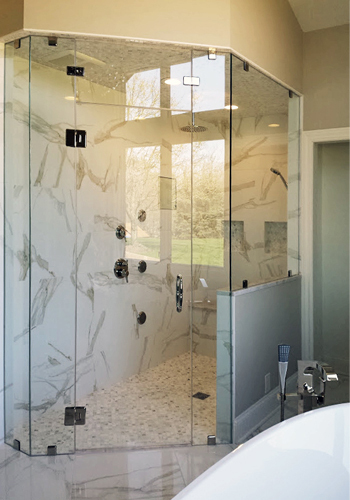 Middlefield Glass is a third-generation family-owned and operated glass manufacturing company that provides our customers with world-class decorative glass for the kitchen, bath, and home. We are in the heart of Amish country in Ohio. We combine expert old-world craftsmanship with state-of-the-art technology, hand-made high quality, unique decorative glass panels for kitchen cabinets, doors and transoms. Whether you need a custom real leaded and beveled glass insert, cut-size art glass or handmade antique mirror, we strive to meet your home remodeling, building and construction needs. All our real leaded, beveled and leaded overlay glass is crafted by hand in our workshop by our experienced artists, ensuring that each piece is beautiful and unique. 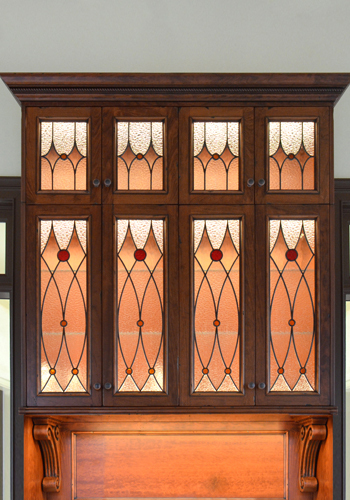 Our team has produces decorative glass for the largest cabinet makers in the country. Our true strength is producing glass directly to cabinet dealers, interior designers, woodworking shops, home renovators, and you the homeowner. We ship nation-wide via UPS – Guaranteed to get there safely.